It’s relatively easy to say whether creatures are plants or animals but there are some organisms whose nature is more mystifying. You might have played the game called “animal, vegetable, mineral”. One player thinks of an object or organism and the other players ask questions to try to guess what it is – starting with this simple classification. But nature isn’t this simple. There are dozens of groups of living species that are neither plants nor animals. We tend to think of plants as organisms that stand still and use photosynthesis to produce energy from sunlight and make their own organic molecules from the soil. And we see animals as creatures that move and feed on other organisms to obtain the energy and molecules they need. But many organisms challenge those descriptions. The Venus flytrap, despite being a plant, feeds on other organisms – and some of its parts move faster than its unfortunate animal prey. Many groups of animals do not move and live attached to a surface for most of their life, including sponges, corals, mussels and barnacles to name a few. It’s still relatively easy to say whether these creatures are plants or animals. But there are other organisms whose nature is more mystifying. Here are a few of the most intriguing creatures who defy our simple categories. Sea anemones are technically animals, but they look so much like plants that they are named after a group of flowers. Even Aristotle, the ancient Greek who produced one of the world’s first systems for categorising life, was puzzled by them. He classified anemones as “zoophytes”, organisms bearing traits of both groups. The truth is that they are animals because they can (very slowly) move and feed on other unsuspecting organisms that get trapped in their tentacles. 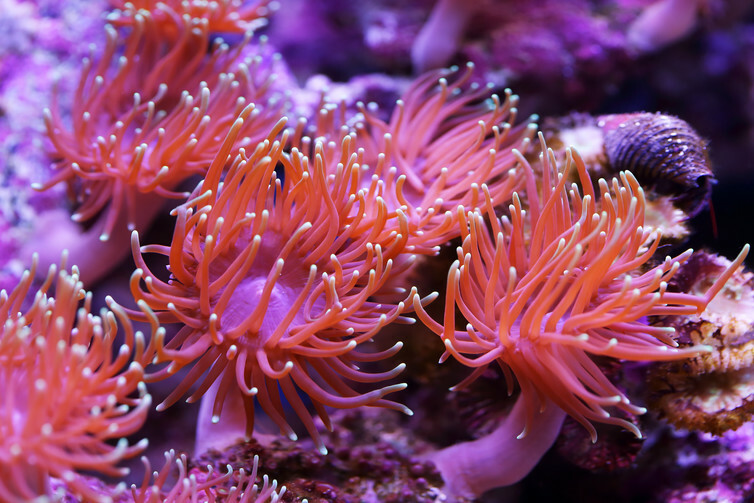 In fact, sea anemones belong to a group of animals called cnidarians, which also includes jellyfish. Interestingly, there are even components of their nervous system that are the same as humans’, although their anatomy is very different. To make things even more confusing, there is a cnidarian called the “Venus flytrap sea anemone” that completely looks the part. It is a brilliant example of convergent evolution, where unrelated organisms independently evolve similar adaptations (for example, the wings of birds and bats). In this case, it is an animal that looks like a plant that imitates a carnivorous plant that feeds like an animal. Chlorophyll is the green pigment in plant cells that enables photosynthesis to happen, and is one of the defining traits of plants. But some animals use a very clever trick: they steal those solar-powered factories and use them to their benefit, a process aptly named kleptoplasty. The gorgeous sea slug Elysia chlorotica was once described as “a leaf that crawls”. 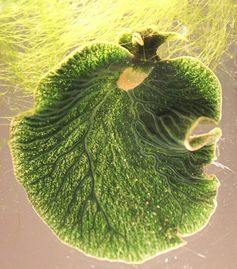 They can borrow chloroplasts from its algal snacks, sucking them with a structure that pretty much looks like a straw, pushing the concept of veganism to the limit. These sea slugs have specialised cells that can keep those chloroplasts for months. What’s more, they also use the stolen chlorophyll for camouflage. The blue dragon slug, Pteraeolidia ianthina, can go a step further. Instead of keeping chloroplasts from is food, is able to enslave whole algal cells. Creatures that are not animals or plants are often informally called protists. Many in this category are in the habit of robbing plastids from algae or subjugating other single-celled organisms. These include dinoflagellates, ciliates and foraminiferans. In this way, all these organisms are able to use an animal-like behaviour (eating other organisms) to acquire plant-like traits (photosynthesis), getting a higher return from their sunbathing sessions than their peers. Algae are mostly aquatic organisms that we often think of as single-celled lifeforms that appear as a kind of growth or slime on top of bodies of water in a range of colours. But there are also multicellular types of algae that look far more like plants – even though they often don’t have roots or leaves as we traditionally think about them. Even though they have evolved separately, algae are like plants in that they don’t move and can photosynthesise. If you have been to a beach, you most likely have run or swam into the sea lettuce Ulva, which despite its name is not a vegetable but a green alga. Nori seaweed is commonly used in Japanese cuisine to wrap delicious bits of sushi and rice – and red dulse is a snack in Ireland and Iceland that some claim tastes like bacon when fried. But in spite of their plantlike appearances and animal-like tastes, nori and dulse are scrumptious red algae. Another example is kelp, which forms astonishing massive underwater forests – some specimens reach the impressive length of 80 metres – and is also a key ingredient in many Asian meals. 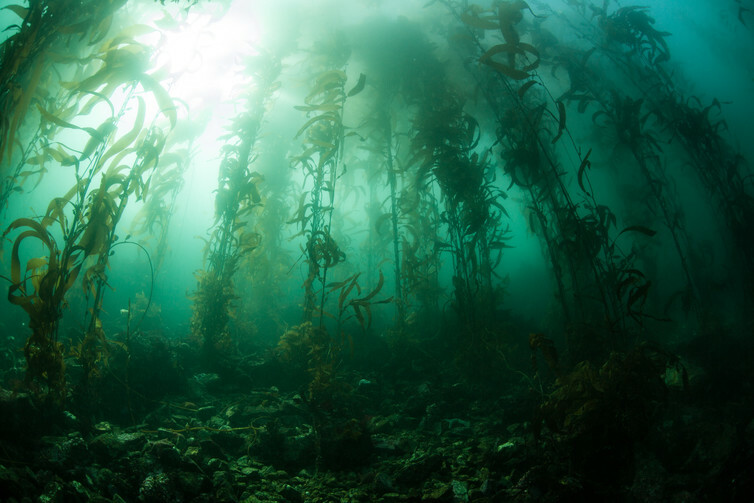 Despite its size, kelp belongs to the brown algae, and is unrelated to plants. Mushrooms are often treated like vegetables but fungi (which includes yeast and mould) are actually closer to animals than plants, and form an entirely separate kingdom. Like plants, they do not move, but they also don’t perform photosynthesis. Instead their source of molecules and energy are other organisms. But instead of “hunting” them like animals, they either grow on top of them (soil, trees, human feet) or on top of decaying dead organisms (dead bark, dead animals, your bread). Due to their close evolutionary relationship to animals, eating a portabello mushroom in a bun is much closer to eating a hamburger than other veggie substitutes. What’s more, they can grow much bigger than any plant (or animal, for that matter), with the individual heads all part of one giant organism spread out underground. 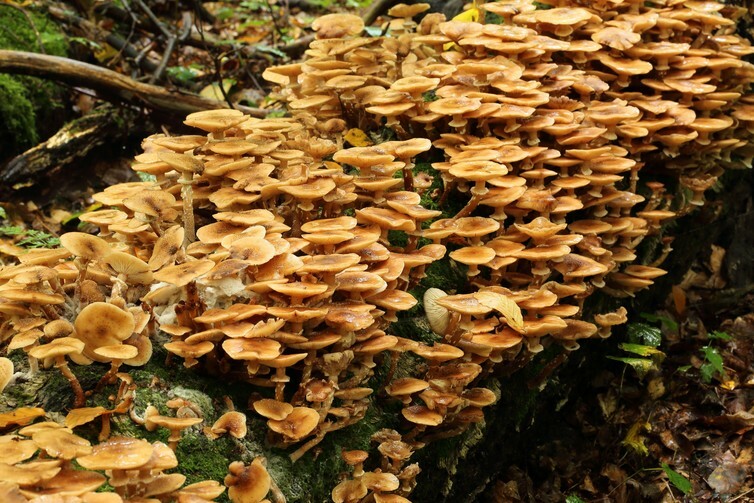 The humungous honey fungus, Armillaria, is allegedly able to cover up to nine square kilometres of forest, weigh up to 35,000 tons and live up to 2,400 years. These fungi are agents of a major forest pest, the “white rot” root disease, which slowly kills numerous trees. Nature is diverse, beautiful and complicated, always defying simple definitions. Human perception can be easily deceived by the intricacy of live beings. But none of this complexity impedes us from making delicious food out of almost every organism we encounter. Analysis of fossil teeth reveals that the children of mysterious prehistoric human relatives grew slowly.